One of the most basic questions on gardening is whether you are looking for a sun or shade plant, or maybe something in between. This simple idea can be difficult to define if you don't understand what constitutes full sun, full shade, and partial sun/shade. This article will go over the basics of sun and shade and how to determine which category different areas should be labeled. Gardening doesn’t have a lot of black and white issues; a lot of having a garden is in understanding the many different shades of gray. How easy it is to put a sun plant where it gets too much shade or a shade plant where it gets too much sun? We think part of the problem is that many people aren't certain just exactly what constitutes full sun or full shade, much less partial sun or shade. So how can you avoid torturing your sun plants with too much shade and your shade plants with too much sun? One way is to draw a simple diagram of your garden. Then one day when you have time go out every hour, starting first thing in the morning, and mark which areas have sun or shade. Count the number of hours each area has sun to determine which conditions apply. The angle of the sun will impact how much sunlight each area gets. Northern exposures become much shadier in the winter and southern exposures get much more sun in summer. You may want to check the hours of sun each area receives every few months to get a really good feel for the amount of sunlight each area gets as the seasons change. Full sun plants like bright sunny areas. Many full sun plants will be perfectly happy with sun 14 hours a day, every day. Some plants are happy with sun 14 hours a day, unless it gets hot then they like some afternoon shade (when the sun is hottest.) How do you know which sun plants prefer a bit of a heat break? Partial sun and partial shade are probably the most confusing category. The two terms are fairly interchangeable. These plants prefer 4 to 6 hours of sun a day and would be happiest getting their sun mostly in the morning and/or evening with shade through the middle of the day. If a plant is called partial sun the emphasis is on making sure the plant gets at least 4 hours of sun a day. If a plant is called partial shade then greater emphasis is placed on the plant not getting more than 6 hours of direct sun. Full shade plants prefer to get little direct sun. They like less than 4 hours of direct sun a day and prefer morning and evening sun to mid-day sun. Full shade plants should also do outstanding in dappled shade conditions. An area that will be shaded by a fence or wall will need to get several hours of sun in either morning or evening for plants to do well. Full shade does not refer to dark places. All plants need at least some light. Hello. I live in south florida with a north facing house which is where i want to put some plants. My problem is that this time of the year the area gets sun almost the whole day but then in the fall and winter its almost full shade. I tried an elephant ear in the corner that gets the most shade but when that blistering sun hit it it started to wilt. I wanted a border along the base of the house but im not sure what will do well there given the inconsistencies in sun exposure. I have a west facing garden that is in full shade until around 3pm. Then it is full sun for about 4 hours. I'm zone 9. Any ideas? I'd love to know plants of different heights so I could layer the area - max of about 36 inches. Look for part shade to shade plants. Part Sun plants will probably do OK as well, but with sun only after 3 I'd lean towards more the shade side. I've been watching a youtube channel called Garden Answer and she makes awesome gardens and containers with supertunias. I really want Black Cherry and king tut grass that she used, but retailers aren't selling supertunias this time of year in my part of Texas. Can I buy directly from Proven Winners?? I really really REALLY want to plant a container this season! You can buy directly from us here under the "Shop" tab, however, we have stopped shipping annuals. The entry area to my house is about 13' square with walls on 3 sides and open facing south. Therefore the sun shines in that area for around 3 to 4 hours at the hottest time of day. What flower plants or small shrubs would be able to handle that hot mid day sun and shade the rest of the day? Try Rockin' Salvia, Diamond Frost, Surefire Begonias, Endless Browallia, Hippo Hypoestes, Whie Knight Lobularia, Supertunia, Lemon Coral, ColorBlaze coleus, Summer Wave Torenia and Catalina Torenia would be good plants to consider. I just bought a house and bought a bunch of full sun plants. I didn't pay very good attention to how much sun is in certain places. I want to put some of them in a place that get like 2 hours of direct sun. What will be the result if I put them there? Are they going to die or just not flower? Thanks in advance! Full sun plants need sunlight to thrive, if you place them in the shade, they will not develop as they would in the sun. I am starting a container garden on the west side of my house, what would be the best plants for my containers that are colorful? I live in NW Arkansas so it gets extremely hot here in the summer. Whatever you plant, when you water, water throughly so that the water runs out the bottom of the container. Then wait and water thoroughly again once the surface of the soil is dry to the touch. Depending on your weather that may be once a week, every other day, or even every day. Also, use a good water soluble fertilizer every third watering. 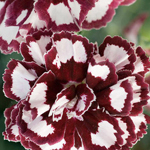 To find a list of plants that work for you I recommend our advanced search where you can use the filters we provide to determine what plants would be good for your location plus colors that you would enjoy. I have a few blue arrow junipers on the south-west corner of my home and they do wonderful, they are slated as full sun. I would like to put a couple on the north side of my house which is completely shaded (overshadowed by a covered deck). If I do this, will they survive? While not in the dark, they are about 3 ft out of direct sunlight. This sounds like too little sun to me - junipers, particularly blue ones, are ver sun-loving plants. You could certainly try to put them there, and if you find that the color is flat and dull, and the growth sparse and thin, move the plants to a sunnier spot and try something else there. I have an area that is sunny in the summer and shady in the winter. What can I plant there ? I'd like flowers if possible. If your area gets 6 or more hours of sun a day in summer then I would use sun perennials. Choose perennials that die back in the winter and the lack of winter sun shouldn't matter at all. I have a spot in my back yard that only gets sun between the hours of 10 am and 2 pm. Whenever I try to look up partial sun plants that would benefit I always get lists of plants that do well in partial shade, and I know there is a great difference between partial sun-loving plants and partial shade-loving plants. Can you recommend plants that would not suffer being in direct sun during the hottest hours of the day in Central Texas? Haven lived in central Tx for over 30 years I would recommend knock out rioses if u like flowering and don't mind thorns. The sun is so intense in central Tx that plants that require full sun in other parts of the US can do well in just part sun in central Tx. Also Plumbago plants will do well too but they go dorment in winter where I have had my knock outs bloom off and on all year. Be sure to prune them way back each year or they will get huge. Good luck! Hello! Our plant search might be able to help. If you hover over the 'plants' tab which is located at the top of the page in the purple bar, the third option down is 'plant search'. That will bring you to the Proven Winners plant search. Once there, you can filter the search by light level. This feature is located under the green tabs in the middle of the page. 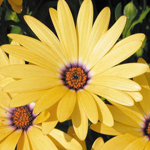 By your description of the area, the filter 'part sun to sun' will show you plants that will love that Texas sun! We just moved into a home that has a large raised brick flower bed about 30x 30, with a path going thru it to a small house used as a potting shed. .The morning is totally shaded, but in the afternoon one half of the bed gets 6 hours of sun while the other gets dappled to no sun. There are only scraggly day lilies, geraniums and weeds now, along with monkey grass that is thriving in the shade and yellowish on the sun side. monkey grass In the Spring I plan to put in Caladiums and Begonia's, along the shaded path, but am at a loss as to what to to use to balance the other sun side of the garden. Any suggestions? The day lilies are probably not happy in their environment. They like 6-10 hrs of sun each day depending on the variety. The only ones that would take shade that I know of are the native variety that is a dusty orange color. If you have a really sunny spot you want to give a little color I would move them to that location. As for other plants to recommend, it is hard to say as I'm not sure what the planting zone is where you are located. I have lived all over the country so could give you many ideas if I knew your planting zone. So my garden gets the same amount of sun on both sides. Also gets the same amount of water. However, I've just planted some lorapetallums and the one I planted on the left side of my garden is growing at a much faster rate than the one I planted in the middle and the right side. Any idea why? This same thing happened when I planted oleanders. I don't understand the difference between the right and left side. Help! Sounds like the soil is richer on the bigger growth side. Since they have the same amount of sun and watering is the same, the thing to look at is your soil. Take soil samples of each area and have them tested. The results can tell you what type of soil and the fertility of those soils. Since light and water are the same, I think soil is the culprit. This website should be helpful finding your cooperative extension agent: https://nifa.usda.gov/partners-and-extension-map?state=All&type=Extension or google your state and cooperative extension office to get office locations and contact information. In my experience these plants will have similar growth and flowering as long as they all get at least 4 hours of direct sun a day. We have 2 bushes that have not flowered over the last couple of years, what should we do? Are they in full sun? Wine & Roses weigela need a minimum of 6 hours of sun each day to flower and grow their best. Also, have you pruned or cut back your plants at all? If so, when? Weigela should only be pruned AFTER they flower, as pruning in fall-spring will remove the flower buds. These are the two most common reasons weigela may not bloom. Thank you! This was a very helpful article regarding the definition of full sun, partial sun, and full shade. Coleus is a good annual choice for you. Caladiums, such as our Artfuls, won't survive on their own through the winter, but you can dig and store them for the winter and then replant the next spring. Other than that I would look at shade tolerant ornamental grasses - here is a link to get you started: http://extension.illinois.edu/beyond/directory_grasses.cfm. 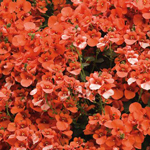 There are some colorful shrubs that will work in shade as well, here is a link https://www.provenwinners.com/plants/search/shrubs?keys=&hardiness_zone=All&light_level=826&available_online=All. Coleus has beautiful patterned and colored foliage with inconsequential flowers that thrives in shade/partial sun. Full sun summers and full sun winters. My two story house in central Texas faces directly east thus the north side is full sun in the summer and full shade in the winter. And the opposite in the summer (except thesoith side does get some mid day direct sun in the summer because we are in the northern hemisphere). Knowing that seasons will offer vastly different light amounts, What should I consider when planting shrubs around the house? Gardening in Texas involves lots of considerations that I'm not familiar with, so I think you'll get the very best answer dealing with someone with experience. I would recommend that you contact your cooperative extension (http://counties.agrilife.org/ - your extension agent is funded with your tax dollars and can be an exceptional resource and wealth of local knowledge) and talk to the home landscape person there. In the meantime, here are some excellent resources for landscaping in Texas to help get you some ideas: http://aggie-horticulture.tamu.edu/earthkind/plantselector/; http://aggie-horticulture.tamu.edu/southerngarden/treelist.html; http://aggie-horticulture.tamu.edu/extension/xeriscape/table4.html; http://water.tamu.edu/best-shrubs-texas/. A concern I have never seen addressed is, " I want to plant Japanese Skimmias (shade loving) near deciduous trees. They will receive full to partial shade 6 months of the year which they will love and full sun November through May southern exposure. Will they survive full sun in winter? One issue with evergreens like skimmia in sunny winter locations is that the sun can actually increase leaf burn, as it draws moisture out of the leaf tissue and the frozen ground does not allow the roots to take up moisture to replace it. Perhaps if you water them well before winter and give them a good blanket of mulch, you can help minimize the moisture loss which would otherwise turn them unsightly. This year as every other year along with all of the beautiful flowers we plant, (and they are all proven winners), we have three tree’s in our front yard. Around these tree’s, every year, we plant impatiens and to say they grown and look beautiful would be an understatement. This year they grew, bloomed, but I kept saying, something is wrong they do not look like they usually do. Not to long after that they were all spindly and dead. After all of our reading we are attributing this to a blight of some kind. To say we were sick would be another understatement. I am a floral designer and flowers are my love to say the least. All of my pots and hanging baskets are beautiful, but of our impatiens, gone. What can we plant under the tree’s that will get part shade and part sun, (but lots of light), and make a beautiful statement. Thank you for any help you can give me. One plant not mentioned in the article are Sunpatiens, which were chosen for sun performance, but will do OK in shade as well. Was wondering if you got and answer to your question as I have a situation just like yours and am having a terrible time finding something to grow under my locust tree? I am hoping to plant shrubs along the border of our downwards sloping lot in zone 7a in the foothills region of NC. Along with the acidic, red clay soil, the area I am working with is in shade to dappled shade in the morning and late afterneen, but receives direct (intense) sunlight for about 3 hours--from about 1 PM to 4PM. We also have to deal with a small but very visible deer population. I would like to stay away from holly and other evergreen species. Would love something with 3-4 season color if possible. Any suggestions? Thanks for your help! There are several things you could consider - Little Henry itea, spirea, and clethra would all be good, shade-tolerant choices. Can some one tell me a good plant, for facing south facing, slightly to the west. First half of day, the area is under cover from trees, etc, but afternoon, it's in direct line of the sun. What can I plant that isn't a water hog. We live in the San Fernando Valley on Los Angeles county. Northridge. Gets into low thirties sometimes in winter, and 110a115 possible in summer. Gets very windy, but this is a protected corner of the yard???? I would look at planting Lantana. I really love our Luscious Berry Blend, Luscious Marmalade and Luscious Citrus Blend, but the whole series is very good. 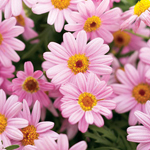 They love heat and can take pretty cool temps and are quite drought tolerant - Tailor made for your needs. If you want another one Diamond Frost and Diamond Delight Euphorbia. They may not take you cold temps, but they love heat, don't mind drought and despite looking frilly and delicate are tough as nails. I live in zone 8 and am having a hard time finding the right plant for a section of yard that gets morning and evening shade and about three hours of sun during the afternoon. Have tried both sun and partial sun plants with no success. Everything dies over the winter months. The morning shade is due to a large tree in the neighbors yard that looses leaves in winter. The evening shade is due to trees on the other side of the yard that keep their leaves in winter. Any recommendations? OK so you are in zone 8, can you tell me a zip code or a town so I can help? I live in North Florida which is zone 8b and maybe we can find some plants that will work for you even if they are not Proven Winners! Gardening in the SE can be challening! So I have a bit of a dilemma here (I will pre-warn you, I'm babbling here and it gets confusing with the descriptions of the sun in my yard :-p). I am beginning to grow some exotic plants in my yard with heliconias, ornamental gingers ect.. but I am afraid the hot sun of central Florida may burn the leaves (not including the few days of frost we get during winter but I cover the plants with blankets and they seem to do fine). The hottest time of the sun here is between 11am-5pm during summer, and it happens to be no matter if I plant a plant in the front yard (where the sun comes up) the plant will get full sun from 7/8am-1pm. I think this is one of the worst spot for most plants that do not like sun as I don't have a big tree blocking sunlight, the plants must be planted very close to the house walls to get shade after 1pm and this is around the time where the sun gets super hot. Not only that, but the front of the house seems to be more drier than my neighbors who have trees because there is no shade in my yard other than my house. In the back yard I have a little canape/gazebo where I put my potted plants in with filtered sunlight sometimes direct sunlight, but this is the evening sun after 1pm which is HOOOTTTT and humid- there is no in between and it makes it hard starting plants in there because the sun is scorching hot. The lady finger banana trees seem to love full sun all day, as they are located in an area where there is absolutely no shade whatsoever. But the heliconias and gingers enjoy partial shade/partial sun-full sun, which confuses me as to where I might want to plant these plants so the sun doesn't burn them and I don't know very much about heliconias or gingers either to ascertain if they are similar to their cousins the banana trees which seem to love full sun or not. What would you suggest I do with these tropical plants so that I don't accidentally kill them, as they take a long time to bloom to start over again? how possible is it to specify sun/part shade by what sun is good? I seem to have issues with plants that are labeled this and it seems to make a difference whether the sun is late sun when it is hottest. almost all of the plants I have seem to prefer the early sun vs. late scorching sun but they are labeled 6 hours of sun. What a great question and unfortunately there is no simple answer. In general if a plant is labelled for part sun, it is likely that it also does not like the hottest sun of the day, so like your description most of yours like morning sun which is usually much gentler than afternoon sun. We are often frustrated by the part sun/part shade definition, because it often comes down to developing a 'feel' for what plants do well in your garden specifically and that is something you can only develop by trial and error. We feel your pain, but suggest that you always start first with these plants in morning sun and part shade in afternoons as you have learned! I wish there was an easier answer!